Discover the numerous health benefits of steaming with a food steamer from Cookware Brands. 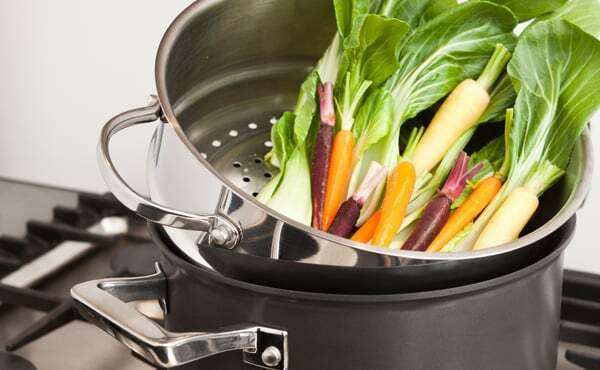 Steaming allows you to cook without oil, maintaining beneficial nutrients in your food. For enhanced flavour, stock can be used instead of water to infuse steamed vegetables or other foods with a fantastic taste, resulting in a delicious, healthy treat! We stock steamers from leading brands including RACO and Essteele, made from durable stainless steel and available in different sizes to fit your desired pot.